Yext lets companies like Denny's, KeyBank, Marriott, and Sears manage their business listings in the cloud, and sync those listings to hundreds of services. Today, we're excited to announce that Radar is available in the Yext App Directory. 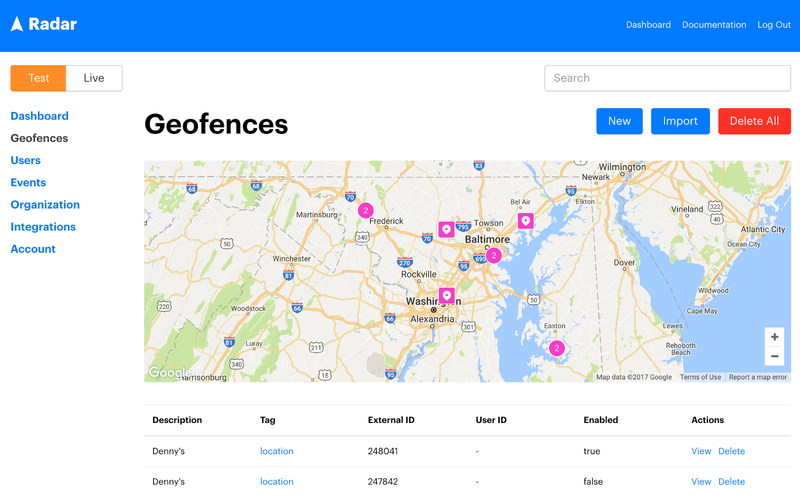 The integration lets customers sync locations from Yext to geofences in Radar with just a few clicks. Yext and Radar are a perfect match. Both platforms empower businesses to manage their own first-party place data, and to build great product and service experiences with that data. Enterprise customers can start using this integration today. See the Yext integration documentation.